Bloomsday won't just be for the adults anymore, because Jr. Bloomsday returns in 2019. Twelve kilometers feels a lot farther when your shoes are a lot smaller. This year, Jr. Bloomsday will make a comeback after a two-decade hiatus, giving students grades three through seven their own race to run. 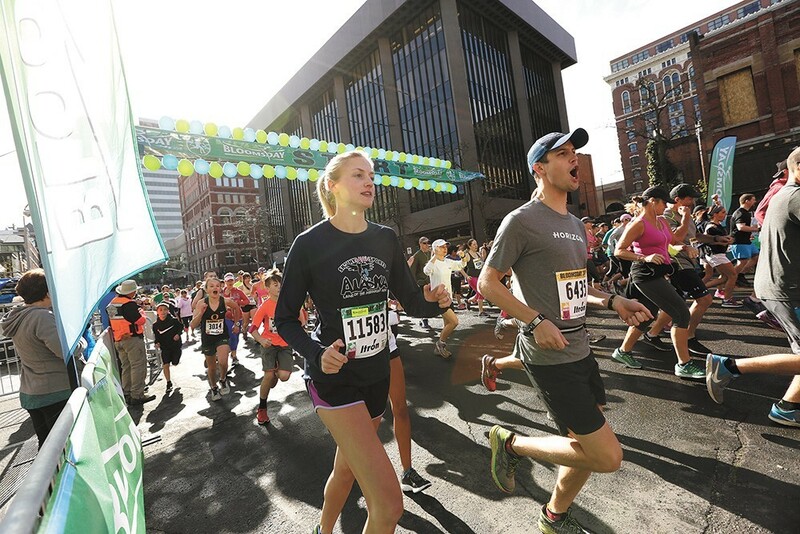 Given the large population of the young running community in Spokane, the Lilac Bloomsday Association thought it was time to reintroduce Jr. Bloomsday to Spokane, said Jon Neill, Jr., Bloomsday race director, in a press release. Jr. Bloomsday began in the 1980s and, like Bloomsday, had thousands of participants. It was in the 1990s that the race was discontinued. The junior race is now open for registration, however spots are limited as only 3,000 kids are able to participate. Jr. Bloomsday will be held on Sat. April 20, just two weeks before the main event. The 1.25-mile race will be held at the Spokane Interstate Fairgrounds, and will start and end at the Avista baseball stadium. Each runner who completes the race will be given a souvenir bracelet and a limited edition Finisher T-Shirt, just like the 12k race. Last May over 38,000 people crossed the finish line at the Lilac Bloomsday Run. The entry fee is $20 and proceeds from the Jr. Bloomsday will benefit Active4Youth, a non-profit organization that promotes exercise in elementary schools throughout Spokane to fight childhood obesity and delinquency. For younger runners, kids third grade and below, the Marmot Run will continue to be held Saturday, May 4, of Bloomsday weekend.